Whew! IRCE always takes our breath away — the size, the people, the new products — and the absorbing everything we learned in a few short days. Here are a few thoughts from myself and Dan Guerra post conference. You can view the presentation here — and take away some great tips. Did you attend IRCE? What was your experience? What ideas did you come away with? InOrder Users: Did you know you can copy an inventory hierarchy group to simplify item setup for the web and make it more efficient? The Copy Group feature copies hierarchy fields, user-defined fields, specs, and optionally copies inventory item hierarchy assignment. Clicking the “Copy Group” button prompts for a new hierarchy group I.D. and whether inventory item hierarchy assignments should be copied. Then the new hierarchy is created as a copy of the original hierarchy. The new hierarchy is created as a sibling of the existing group and may be moved to another location in the hierarchy structure using the “Change Parent” function. The new EDI Enhancement can also import customer orders and transmit vendor purchase orders. With this Enhancement, you now have the fastest way possible to get orders into InOrder. 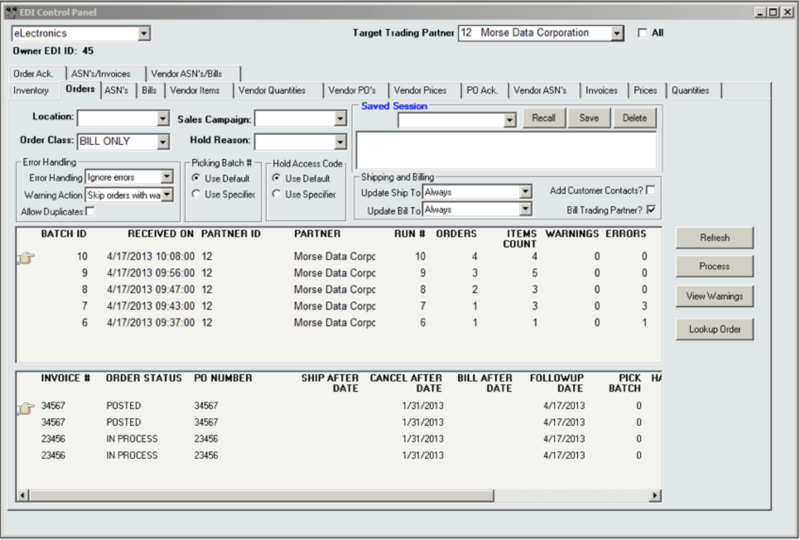 The InOrder EDI Inbound functions allow communications between you and your Vendor Trading Partners. 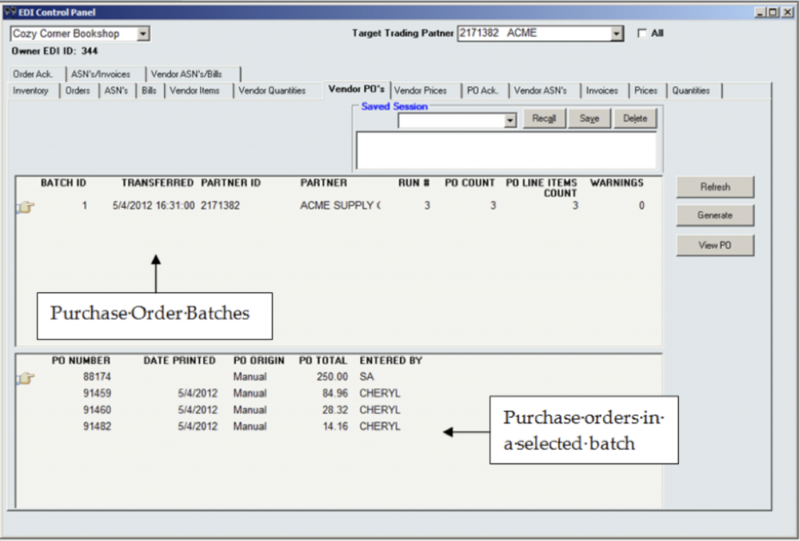 Generate purchase order data and send it to your vendor partners for warehouse replenishment or for direct drop shipment to your customers. Receive and record PO acknowledgements. Plan ahead – Receive notice of expected shipments from your vendors. Read carton license plate barcodes from vendors, to receive by carton using Advanced Ship Notices (ASNs) to determine carton contents. The InOrder EDI Outbound functions allow similar communications between you and your Customer trading partners. Autopost drop shipments once confirmed as shipped by your EDI vendor partners. Export inventory/status/quantity/pricing data to your customer trading partners. Import shipment requests, drop shipment requests, and orders. Transmit order acknowledgements to customer partners as orders are successfully imported, indicating allocated stock and/or backordering. Transmit invoices and advance shipment invoice notices. Print license plate labels during packing verification to affix on all shipping cartons. Use a built-in UCC128 label or create a custom ASN label. You can also view each EDI purchase order or transaction from within the EDI Control Panel, reset or exclude a purchase order from a group, and view / resolve / reprocess errors. And finally, you can combine the EDI Enhancement with the InOrder Batch Builder Enhancement to schedule processes and receive or prepare data for transmission on your own schedule. Do you use EDI? What’s been your experience? Leave your comments. If you’re attending the Association of American University Presses (AAUP) Annual Meeting June 20 – 22, 2013, be sure to stop by our exhibit and say hello. The exhibits are open June 21-22 — we’ll be in attendance both days. If you’re not an InOrder user and would like to learn more about how InOrder can help you manage delivery of digital goods, please do stop by for a demonstration. Our recently released Digital Delivery Enhancement gives you the capability to deliver digital products with flexible download options and terms — while still protecting your digital assets. If you believe in people and give them the opportunity to gain experience and skills, it encourages people to learn and grow. This invaluable gift has been the philosophy of Morse Data Corporation since its inception in 1975. Jim Morse, our founder and CEO, first hired Tony Marchese as a college intern in the fall of 1985 while he was attending the Illinois Institute of Technology in Chicago. Tony went on to earn a minor in Management and a Masters in Computer Science. 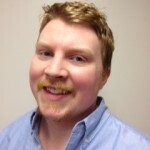 Tony has been with Morse Data ever since, and is now the Vice President of Systems Software for the Orland Park office. Since then, Morse Data has been responsible for providing “wings” to several college interns and continues to do so today under Tony’s direction. To quote one of our current interns, “I have learned more here at Morse Data than I could ever learn in a classroom setting.” We’re proud to be an employer who believes in paid internships, money which provides our interns with a little extra cash to help defray their skyrocketing college costs. We’re also happy to give our interns experience — especially now in a job market where employers want to hire those with experience. Jeff Grandt has been in our college intern program for the last two years. Jeff is pursuing his Bachelor of Science in Computer Science from the University of Illinois at Chicago and is looking forward to graduation in 2014. Jeff has been a tremendous help with our corporate website and has often been called upon to assist with special projects and bug fixes. 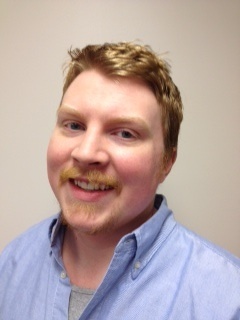 Our newest intern is Dennis Lynch. Dennis, a freshman at Duke University in Durham, North Carolina, joined us in May. He’s pursuing majors in Electrical and Computer Engineering as well as in Computer Science. He was also valedictorian of his Senior Class at Marist High School — so we’re thrilled he chose to share his summer with us at Morse Data. Sadly we will be saying goodbye to Adeel Qureshi who will be graduating in June from DePaul University with a Bachelor of Science in Computer Science. Adeel has been our “go-to” person to assist with changes needed in our software and he will be sorely missed. We wish him the best and know that the experience we have provided will allow him to flourish and grow as he pursues future opportunities. If you know someone — maybe you! — who would be a great fit as an intern at Morse Data, feel free to submit your resume via the Careers tab on our Website or send an email to careers@morsedata.com.